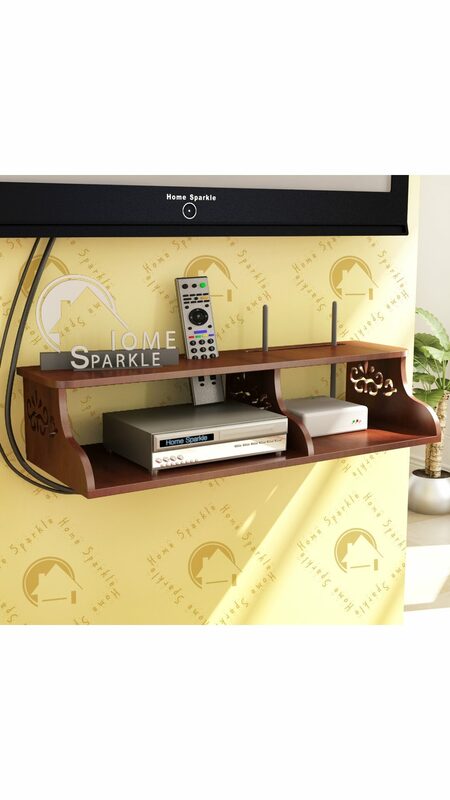 Give your home a pleasant feel with this Carved Set Top Box Holder from Home Sparkle. Featuring an intricate design;You can now organise your TV remote;set top box;wifi router or modem with this shelf to change the look of your interiors. It has a hole at the back side of its bottom to connect wires to your device which organises the wires neatly. Made of engineered wood;this wall shelf is sturdy and durable. Home Sparkle offers a vast collection of handicraft items that display class;style and superlative quality.